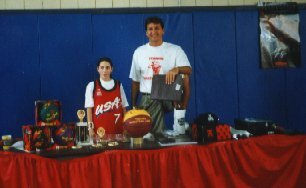 Teaches has run youth basketball programs in Westchester County NY for 32 years. Children 7-16 can sign up for any one of our multiple camps listed below. 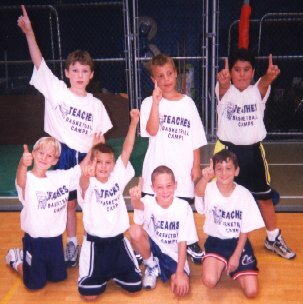 Our focus on participation & fun has led "Teaches" to be the #1 brand for basketball in Westchester County. This has been exemplified by in the past by our history of hosting NBA player camps who aligned their brand with Teaches. Sign up to improve your game and enjoy a fun week of competitions and league play. All participants will receive a Teaches basketball, Teaches bag and camp t-shirt. If you would like to sign-up by personal check or postal money order, just click the "Sign-Up Sheet" button below, to download the form, and follow the instructions.